When it comes to wedding dresses, there is no doubt there are lots of options to choose from. It is very easy to feel stunned when there are myriads of dress styles on offer. But when you go into the delightful world of the bridal design, this term will become more confusing. If you are having a difficult time choosing the right style, then our guide can surely help you a lot. Here, we have rounded some of the best wedding dress styles that will definitely make you the most beautiful bride in the world. It is a slim-fitting wedding dress that has a narrow and straight shape flowing from the neck to the border. Column dresses are ideal for tall as well as willowy brides. In fact, this style emphasizes and hug the figure thus it is good for displaying the bridal’s body. Looking for plus size wedding dresses but not certain what body shape is? If so, then an A-line wedding dress is perfect for you. Actually, this style looks good on everybody and it can be extremely flattering. What’s more, this wedding dress is ideal for brides who want to become more subtle. This wedding dress style is best-suited for brides who have a pear-shaped body. 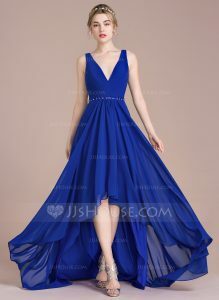 Ball gowns, on the other hand, will display your smaller upper half. Furtherno matter what your body type is ball gowns will surely make you feel like a queen. Often this style of wedding dress is normally seen on red carpets. Fishtail dresses are great for brides who want to have a fashionable wedding. When it comes to the shape, this style follows the body’s silhouette before broadening out at the knees. Either way, fishtail dresses will more stunning when paired with comfortable heels. A high-waisted wedding dress style that is ideal for slim ladies that has a small bust. Further, empire dresses will also look good on petite women who want to look taller. 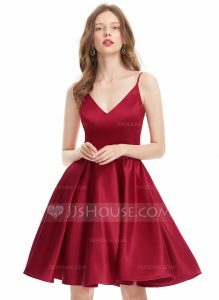 Usually, halter neck dressed feature a high neck that has deep openings or 2 straps from the bodice which meet at the rear of the neck. Even so, this wedding dress style is extremely pleasing. Plus, it can offer every bride a unique look. Nevertheless, this style is an unusual option because brides these days tend to go for a strapless style. Do you want to look modest on your big day? Then a long-sleeves wedding dress is perfect for you. In fact, this beautiful and chic style will make you stand out from the crowd. Though it is not as modest as long sleeves wedding gowns, the short sleeve of this style will add enough sleeve for your biceps or triceps giving you a more comfortable feeling while walking on the aisle. There you have the eight best wedding dress styles where you can choose from. Hopefully, this content has helped you a lot in choosing the best style that suits you the most.